I was there for an early dinner, the food centre was quite quiet at that time and most of the stalls have already closed and I was left with limited choices. 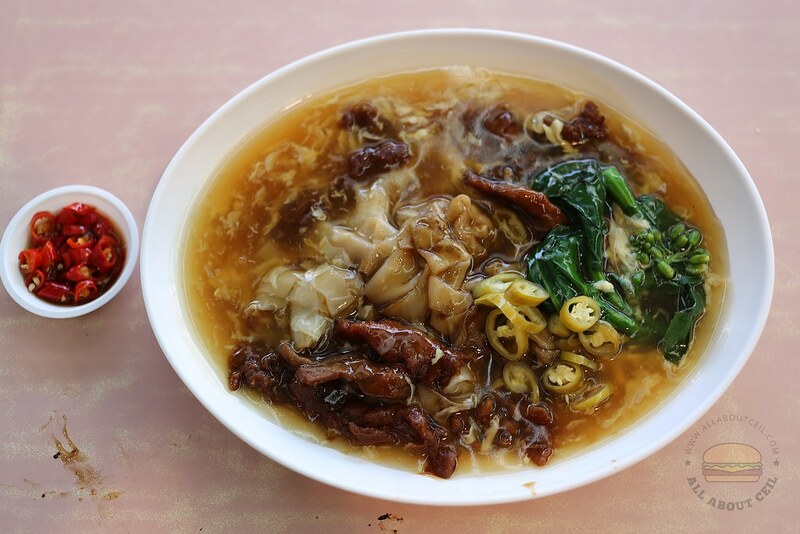 This was one of the stalls that got a short queue and the other one was Hong Kong Yummy Soup that was awarded a Bib Gourmand distinction in the MICHELIN Guide Singapore 2018. After some thoughts, I decided to have horfun, it is my kind of comfort food. It is getting difficult to find a really good one these days. I joined in the queue without realising that those customers in front of me have already ordered. The uncle saw me, he looked towards my direction and was waiting for my order. 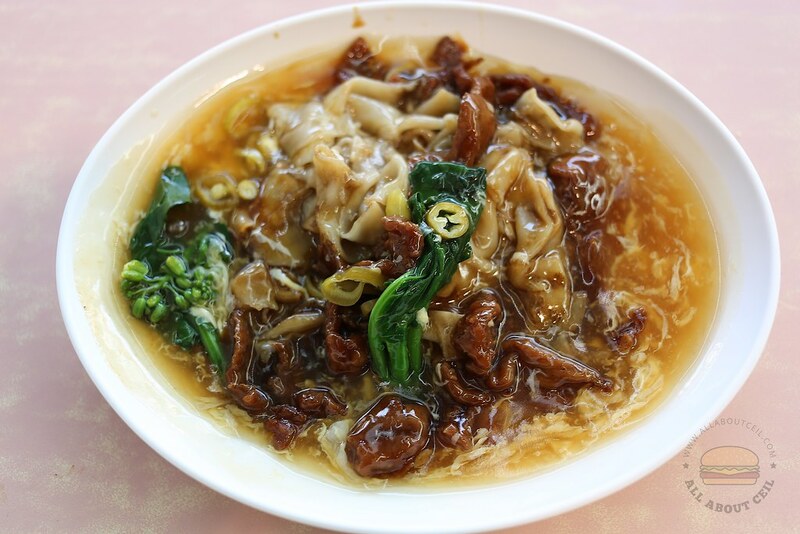 I told him that I wanted to have Beef Horfun ($4.50). 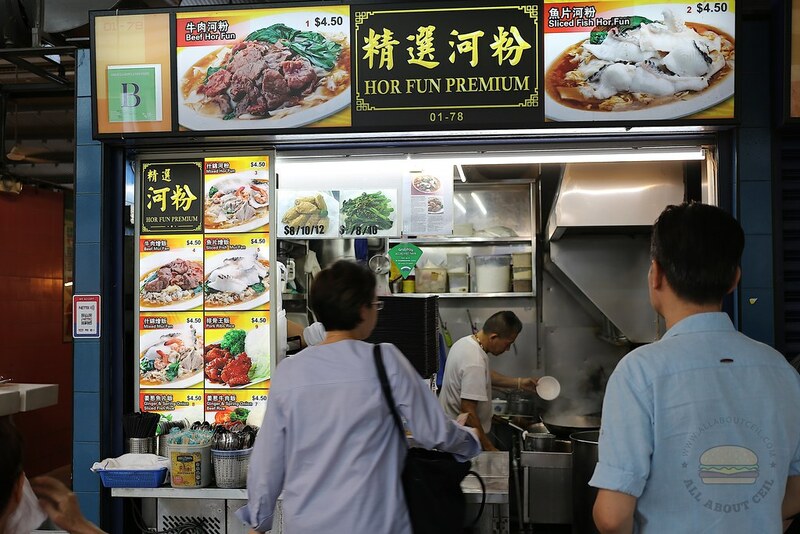 There are also choices of Mixed Horfun / Mui Fan ($4.50) and Sliced Fish Horfun / Mui Fan ($4.50) together with Pork Ribs Rice ($4.50), Ginger & Spring Onion Beef / Chicken ($4.50) and Prawn Paste Chicken ($8/$10/$12). There was a smokiness amidst the nicely charred horfun came with ingredients like sliced beef and greens in eggy gravy that was not too starchy nor too watery. It was good though not exceptionally so I would think it is still better than most out there. I ordered my favorite avocado shake from Mr Avocado Exotic Fruit Juice to go along with it.